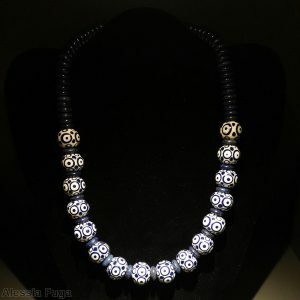 Round “Fenice” bead in light and medium topaz. 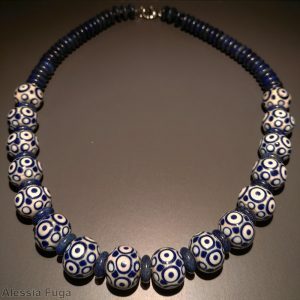 A round “Fenice” bead decorated with twisted dots in shades of topaz and small dots in topaz and ivory. 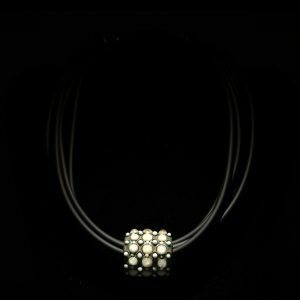 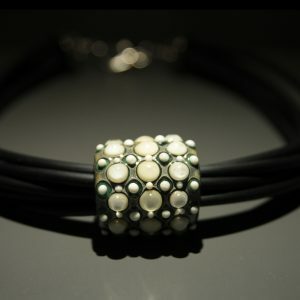 You can use this bead as single pendent or in one of your personal design.